With the launch of Google Now for iPhone and iPad, Google has made local business pages more visible – and with it, reviews from anonymous, non-accountable “Google Users”. 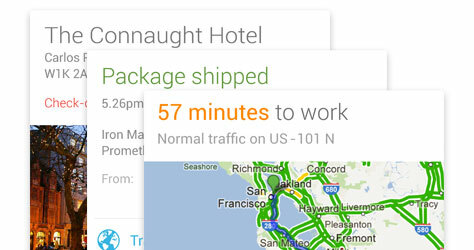 Google Now works by accessing the machine’s location and analysing the contents of the person’s Gmail and Google Calendar records as well as their past Google searches. Until now Google Now had been limited to devices running Google’s own Android operating system; most phones don’t have it yet, but as users upgrade phones that will change. For local businesses, this could be a great development but what’s not so marvellous is when Google foists anonymous negative reviews onto users. Negative reviews are one thing, but anonymous reviews allow people to say whatever they want, true or false, without being held accountable. Google’s official policy actually moved away from anonymous reviews when they made the change from Google Places to Google+ Local for business pages. In theory, users are now required to sign in with their Google account before they can post reviews. Better in theory (although there’s nothing to stop someone setting up multiple fake accounts) but the problem is that old anonymous reviews which predate the change still remain on business pages and what is worse, new reviews are still being posted by anonymous users. A user complained about this in a Google help thread and a Google representative admitted the problem, saying “they were looking into it”. However, there has been no indication from Google that they have solved the issue. Google needs to act now to fix the fault and halt the spread of anonymous comments. Apparently Google does not intend to get rid of old anonymous comments, though they should eventually be pushed down the list by more recent reviews. Let’s hope Google ensures that the comments that replace them at the top are real ones rather than more anonymous fakes. TripAdvisor has finally responded to owner reports of attempted “blackmail” when guests threaten to post negative and malicious reviews unless a demand for a refund, upgrade, or other request is met. 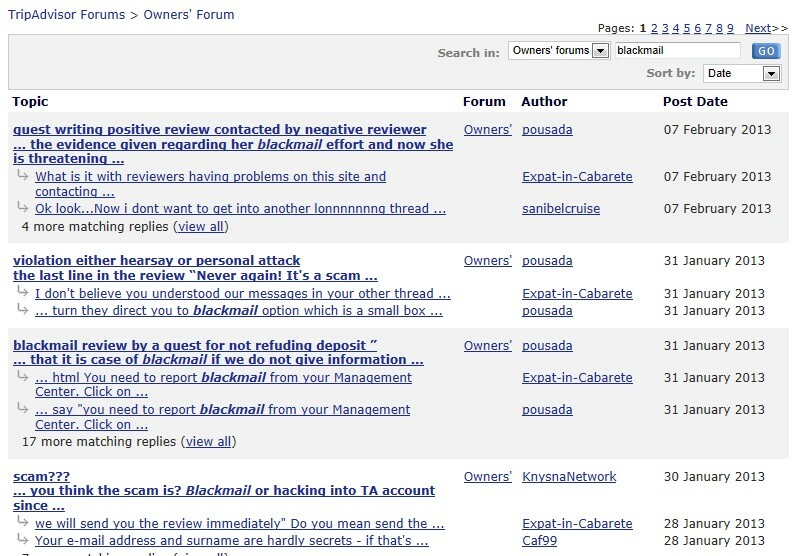 They describe this as “an occasional concern” although reports of attempted blackmail are fairly common on their Owner’s forum. Instruct staff to share any guest blackmail threats immediately. Provide the month and year of the guest’s stay, an email address and/or a name and as many details as possible about the incident. Retain as much documentation relating to the report as you can including emails, letters, voicemails, etc. Any reports of experiences in using this procedure would be welcome! Hotels, B&Bs and restaurants can now take legal action in the UK against review website TripAdvisor following a landmark victory over legal jurisdiction. Following months of legal argument, TripAdvisor said on October 11th at Stornoway Sheriff Court that it was dropping its challenge to UK jurisdiction, conceding that it is subject to the laws of Scotland and can be taken to court in the UK. The case was brought by a Scottish B&B owner who claimed that negative criticism posted about his business was false and should be removed by TripAdvisor. TripAdvisor had previously denied it was subject to UK law and argued it could not be sued in Britain, saying that its headquarters are in Massachusetts and therefore outside the reach of the UK legal system. However, this particular case may not make it to court as the Sheriff ruled it was too complex for the Sheriff court and would have to be transferred to a higher court. This would expose the plaintiff to unlimited legal expenses. The B&B owner pointed out to the sheriff that TripAdvisor had spent weeks trying to transfer the case to Massachusetts, and that its latest request to transfer to a higher court was a ruse to make it too expensive for him to pursue his case. Sheriff Colin Scott Mackenzie said, “I do have sympathy for you” but added that the contract law involved might be too complex for his court. Mr Gollin is now appealing to the Sheriff Principal over the decision, which could force him to drop the action due to the legal costs involved. However, it does set a precedent for other owners to challenge TripAdvisor in court outside the USA. If you’re planning a trip to France using TripAdvisor (or anywhere else, for that matter) just beware – geography is clearly not their strong point. 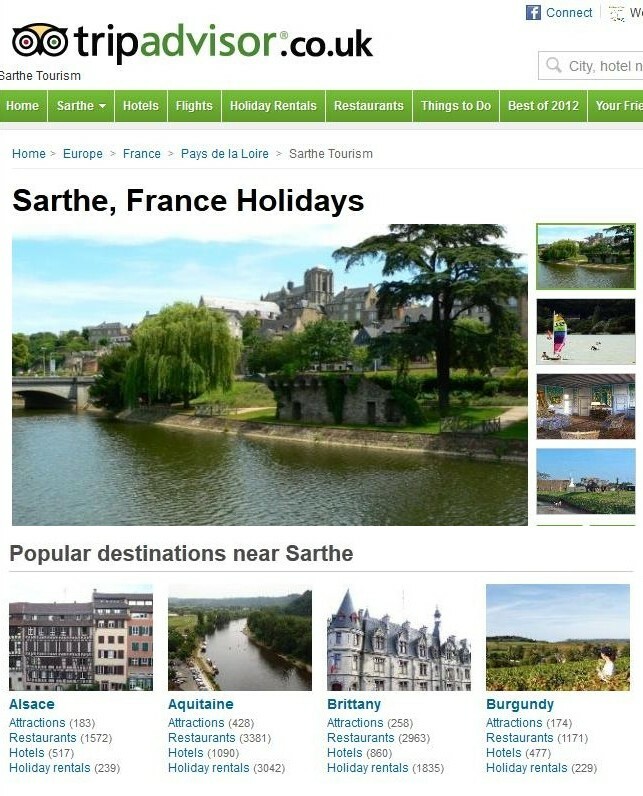 I was browsing the department of the Sarthe in France – home to the famous Le Mans 24 Hours race each June – and I noticed that TripAdvisor had helpfully suggested some nearby “popular destinations near the Sarthe” that I presumably might want to consider visiting if I were going to the Sarthe. 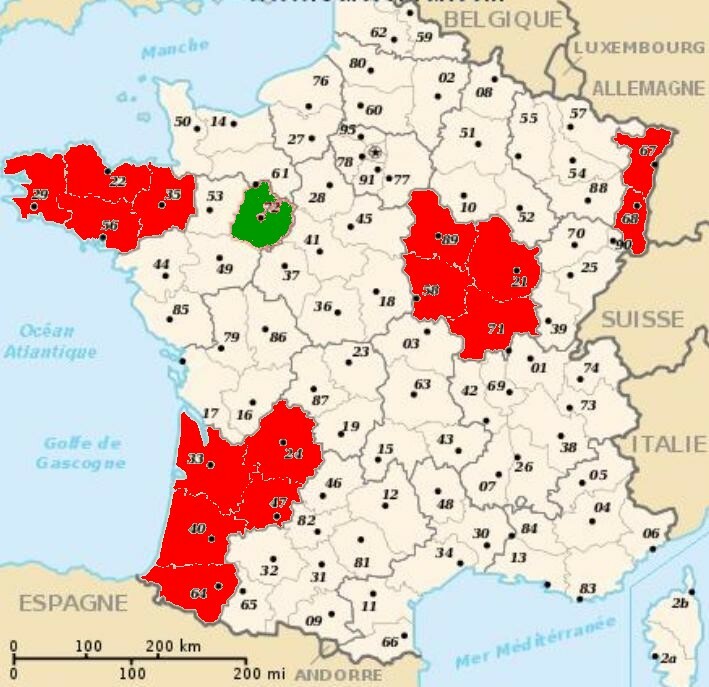 Fortunately, I know the region but just in case anyone doesn’t, here is a map of France showing where TripAdvisor’s idea of popular destinations near the Sarthe actually are (in red) and where the Sarthe is (in green). In a bold move to aid hotels, restaurants and bed and breakfast owners to avoid some of the worst of its members, TripAdvisor is trying to tag its most dangerous reviewers. It is hoped that in time all of the most pompous and prolific reviewers with the most grossly exaggerated view of their own self-importance will be tagged in this way. The scheme works by attaching a large “TripAdvisor” logo to the luggage of the unwanted guest, enabling canny owners to put up a “Fully Booked” sign as they see the offender approaching their business. 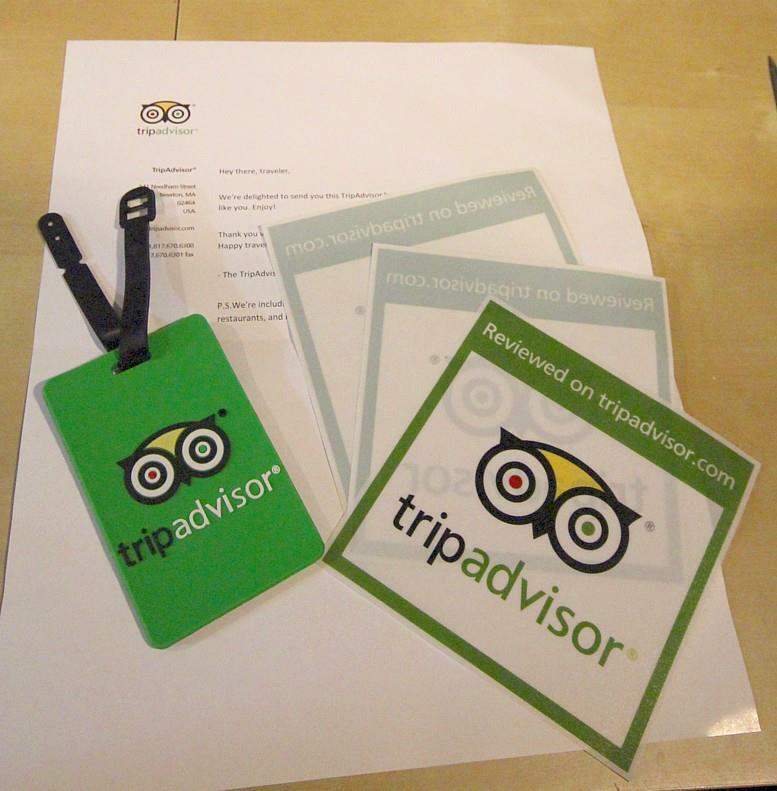 The trap is set by TripAdvisor sending out emails to its reviewers inviting them to apply for the luggage tags as a “gift” – much as police have used prize draws etc. to trap criminals in the United States. As the scheme is entirely voluntary, it is legal for TripAdvisor to tag its members in this way. TripAdvisor also takes the gullible reviewer’s email address and home address enabling them to further punish them with spam. 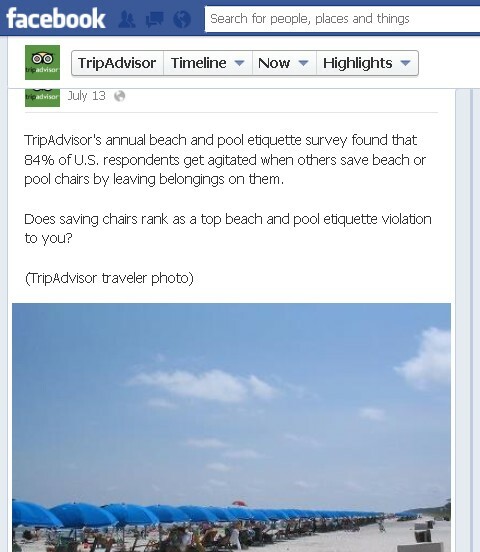 TripAdvisor on Facebook loves posting photos and asking questions the answers to which it then ignores – it’s a good filler that takes very little effort on their part. Further proof that TripAdvisor staff and policies are just as stupid as some of their reviewers. Although TripAdvisor groups this tour company under “wineries” anyone who takes five seconds to read the company description will realise immediately that it is a wine tour company, not a winery or vineyard. “1-3 day Loire wine tours led by experienced English trade professionals. Discover the diversity of Loire valley wines, visit wineries and vineyards… ” The classification as a winery is a vagary of TripAdvisor, not the tour company’s fault. “Le Tasting Room WINE TOURS” – the clue is in the name! However, this reviewer decided that Le Tasting Room is actually a winery and set off to find out where their “vineyard” was located using a GPS – they didn’t bother trying to telephone or email, just drove around the French countryside looking for a non-existent vineyard. Then when they couldn’t find a vineyard (surprise, surprise) they wrote a snotty TripAdvisor review in order to ruin an otherwise perfect review record for the hapless tour company. To make matters even worse, TripAdvisor’s ludicrous response to this when the owner points out the reviewer’s mistake is to say that the review must stand because “The reviewer is entitled to their opinion”. What a farce. Can anyone give TripAdvisor an injection of common sense and fairness, please?